People like to use image-editing software to touch up their digital photos to make them stand out. But many of the popular software available out there are fully featured. 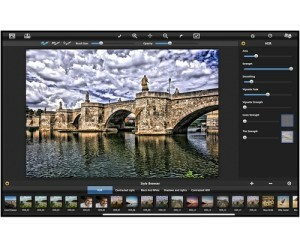 That means that the software can do a lot of image editing functions that some would care to use. It may be great for professionals to use. But there are also people who simply like to enhance photos in a certain way and use that feature every time. They have no need for the other features some popular imaging software also offer. For those who are fond of making HDR images, the Simply HDR app for Macs by JixiPix will do the job for you. Simply HDR is an app for Mac users that allows the creation of striking HDR or High Dynamic Range photos. It is quite popular right now in creating highly detailed images that can make each photo stand out. HDR images are a usually multiple photos of the same scene taken at different exposures and then combined to create startlingly more real-life or even surreal photos. Simply HDR allows users to create photos with an extended range of dynamic light and detail. Using only a single photo, users can choose to create a number of HDR image styles- Colored, Black and White HDR, Contrasted HDR, Shadows and Lights or Contrasted Light photos. The software also comes with a smoothing brush feature that users can use to touch up or make easy corrections on the photos. What makes Simply HDR also comes with fully adjustable controls detailing different aspects of the process. There are HDR Controls, Tint Color Filters, Gradient Filters, Vignette, and Grain adjustments to give users some added options. The software can also be used to open RAW files. Simply HDR is an example of an app that only does a particular function and does it best. It is available for Mac users at Apple iTunes Store for $ 8.